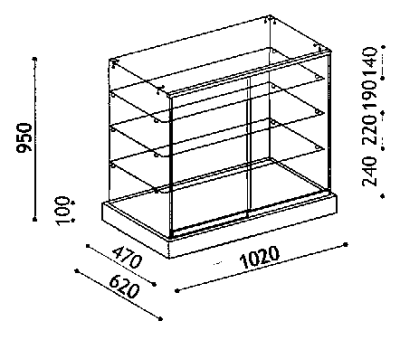 Counter showcase in a "whole-glass-construction"
Measure: 102 x 46 x 95 cm. Sliding doors incl. 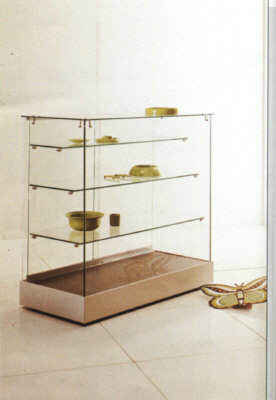 inbuilt lock, 3 fixed shelves. In standart-colours: white and black laminated.